It was Big Bang co-creator Lorre who ultimately made the decision to end the hit sitcom after 12 seasons. According to Deadline, Parsons told Lorre last Friday that Season 12 would be his final season, which led to an unsuccessful last-ditch attempt to change his mind over the weekend. After Wednesday's table read for the Season 12 premiere, Lorre summoned the cast to his office and gave the floor to Parsons, who tearfully announced his decision, reports Deadline's Nellie Andreeva. "With the entire room still reeling from the shock, I hear Lorre revealed that the series too would not go beyond Season 12," reports Andreeva. Entertainment Weekly previously reported that Parsons turned down a two-year contract worth more than $50 million to stay because he was ready to move on. Andreeva adds that "Lorre made the decision not to continue with the show unless all key auspices were coming back. Parsons is one of the series’ 'big three,' along with Johnny Galecki and Kaley Cuoco. Lorre had publicly said he would not do the series without any of the original three leads. 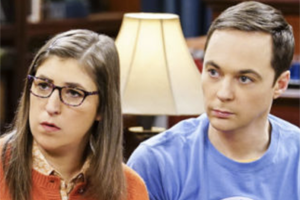 Additionally, Parsons’ character on Big Bang, Sheldon Cooper, is at the center of the Big Bang prequel series Young Sheldon. I hear Parsons informed Lorre about his decision to leave after the end of the season on Friday, when I hear renewal talks with CBS were still ongoing. I hear there was an effort over the weekend to persuade him to change his mind, which was unsuccessful." This morning, Parsons paid tribute to the show's cast, crew and fans in a lengthy Instagram post. Thanks to Jim Parsons for "freeing America" from Big Bang's "waking nightmare"
The Big Bang Theory won't end with an "atomic bomb"